A couple months ago, I shared my story of how I was training to become a professional pilot. Whenever I’m flying, the skies can pose certain weather conditions where the journey is never exactly the same way twice. That type of variability can actually feel the same way when my feet are firmly on the ground as I’m providing interior design guidance to people. You see, when you have the elements of different people with different personalities and tastes combined with a very unique space, no two design approaches are ever the same either. Fortunately, once we navigate through the initial confusion that homeowners often have on a creative direction – especially since we know couples don’t always agree on that direction – we can pave the way toward clarity and ultimately, a whole lot of happiness in the new space. Let me share a good example of how that came together recently for Phil and Christine, clients of mine who live in Chicago’s Old Irving Park neighborhood. The couple was living in a renovated home that was built sometime in the 1940’s. Christine was embarrassed to invite family and friends to their home. Because she was wanting more furnishings and “style,” the couple couldn’t compromise on a “look” for their home. They visited many furniture stores, encountering inexperienced sales consultants who were of little help with interior design. Phil’s time is limited because his job requires travel. He is decisive yet has a spontaneous personality, which at the time made Christine a bit nervous about his home furnishing decisions. So many times, as I’m assisting as an interior designer from Aspira Interior Design, I also have to serve as a mediator too! And it’s a role that I embrace. First, I listened to Phil and Christine’s ideas, concerns, goals and expectations. I always endeavor to earn trust and then become an advocate. Next, I helped them to develop a budget, which is always a delicate subject, integrating expectations with affordability. 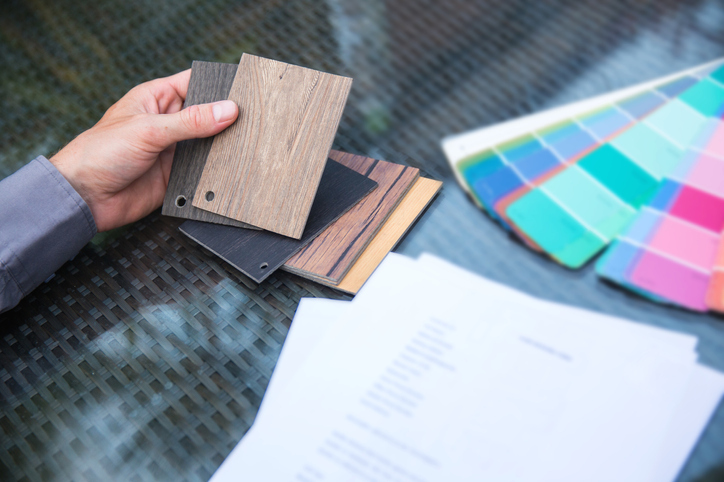 With just these first two steps alone, the design consultation process made their purchase almost effortless. In fact, they said they could not have purchased anything without my assistance! Bringing together the couple’s preferences, I created a design plan that would reimagine the rooms of their home. Upon seeing the finished product, Phil and Christine were overjoyed. The results of a collaborative effort of their ideas had truly come to “life” in the form of a gorgeous and functional home. For me, that feeling of elation that I received on the final reveal to Phil and Christine is similar to what you may see on several design shows on TV. In the process of transforming their home, Aspira Interior Design has saved Phil and Christine time, energy, and money due to my skills to translate and create. Even though no two design projects are alike, for myself, a sense of purpose, fulfillment and satisfaction is consistently there. And no matter how many times this happens, that feeling never gets old! If you find yourself in a similar position to Phil and Christine, wondering how you’re ever going to reach a common ground on a design that not only reflects who you are but excites and captivates you every time you enter the space, don’t feel frustrated one moment longer. Contact Aspira Interior Design today at 847-713-5007 or at info@aspirainteriordesign.com to arrange for a free complimentary design consultation. You may also click here to complete our contact form.